We all know DK Bongo Blast is gone from GameCube and reborn on Wii. 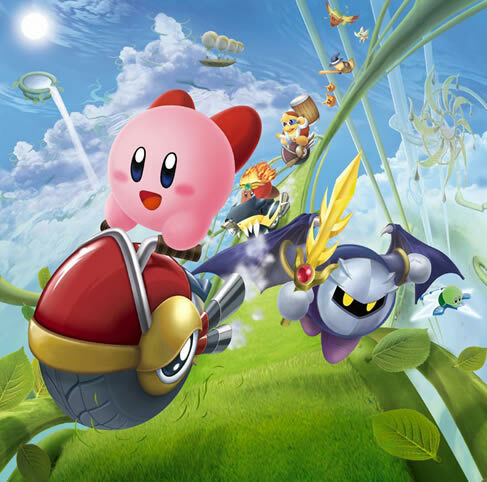 The title is set for release on Nintendo’s new system this year, along with Kirby, for that matter. Efforts like Wii Health and Wii Music will also be coming, but that’s another blog post. For now, let’s talk Bongo Blast. Up until recently, people have speculated that Nintendo would make available some bongos for Wii so that peeps could best enjoy the experience. But I don’t think so. Why? You’ve got the bongos already: the Wii remote and nunchuk. Sounds like good news for Kirby and DK fans. Nintendo is trying to revive some of those games for release on Wii.